It was just over two years ago that I sat down to create my first photography website, at the time having no idea what it would become. I had a starter camera, a basic knowledge of things like composition and aperture, and a few neighbor and friend clients asking me to take their family photos for things like Christmas cards or their baby’s first birthday cake smash. I also had absolutely no clue what I was doing in terms of building a website. All I knew was that I needed something. So there I was with a six month old at the time and my website was born out of a little nap time hustle and a whole lot of, “how the heck do I this moments?”… in other words a lot like parenting in general. Over time, things started to change though. What began as a, “well think I am good enough to do this,” bit of a whim, became a fully realized plan and dream that maybe this was a the direction my life was meant to take. Photography had not only quickly fit into the plan to create a lifestyle I so desperately craved allowing me a creative outlet to make a living on my own terms, but it also became something, for lack of sounding incredibly cheesy (but let’s face it, I AM incredibly cheese), lit my soul on fire. My knowledge began to grow as I invested in my photography education with online courses and in person workshops learning from other well established and successful photographers I admired. My gear arsenal grew as I saved all those early cake smash paychecks for a more advanced and entirely upgraded mirrorless Sony camera body, lenses, and flashes. My business grew as I was no longer just shooting for neighbors, but strangers were actually starting to find and hire me based off of a portfolio I was super proud of on instagram and Facebook. And most of all my confidence grew as what started out as somewhat of a side hobby became a business I wanted to continue to grow and sustain for the long haul. The only thing that didn’t change was my website. 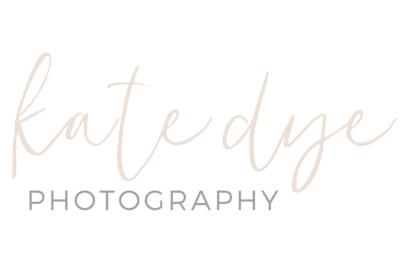 And to be perfectly honest, I was incredibly embarrassed by my novice virtual storefront, as it’s quality and design just didn’t reflect the sweat and tears I had put into photography or the type of work I was consistently producing. I decided to hire a designer to help me create a brand I could be proud of and after a few months of building, designing, curating, reworking, and tinkering, my new website was born. And even though there are even more new features coming soon, especially to the blog, I couldn’t wait any longer to unveil it, as this website has been a true labor of love. It is one that will help me to continue to evolve as an artist and serve my clients in the ways they deserve. I truly hope you love it as much as I do! So grab your favorite drink of choice, take a look around, and don’t be afraid to tell me what you think! Cheers! !